The Smart Hub is the core of the entire home security system. You should plug in the Smart Hub into any power outlet. Then, connect the Hub to your Computer network using an Ethernet cable. Search the safety app from your device, and download it. It will ask you to create an account. After creating the account, register the Smart Hub. The safety app will control the system and will be the core of the apps ecosystem. It`s now time to add batteries to the sensors. Now mount the sensors on your walls, windows, and doors using a peel-and-stick tape that comes with the security system. Remember that the sensors and Smart Hub are already paired. You can now move around the house, in areas with sensors, to test which ones are activated. The app will inform you about sensors that are triggered. If your sensors aren’t enabled, get in touch with your provider. You no longer have to pay someone to do the installation for you. 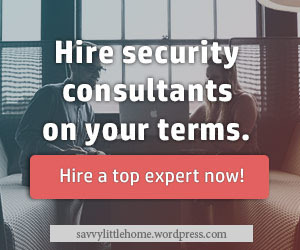 Don’t worry if you don’t understand technical language because there are a lot of reliable home security services who got your back. After buying the home security system, follow the above steps to install it. Be cautious when putting batteries into the sensor. Ensure that you put them correctly for them to work. If you still have a problem regarding installation, call the experts immediately. The young generation is glued to their phones either for social activities or research. They may not be able to focus on caring for the senior anymore. The good thing is that you can freely install security camera to add an extra layer of security at home. A connected home provides a simple, fast and efficient way to know what’s going on at home. Living in a senior home is advantageous in terms of security, community, and 24/7 support. Living alone in your home can, however, be now as secure as that of senior homes. The security systems, emergency service alerts, temperature controls or medication management tools can now be owned by an average person. You can combine such services with professional services such as occasional visits from a nurse. This enables you to experience an environment similar to that of a senior home. Usually, a new technical innovation costs high when new to the market. The price plummets as other new products are introduced. Home security facilities are now widespread and so you can now grab them at reasonable deals. Seniors who have a tight budget can now easily get the convenience and security of up-to-date tech. Keep your loved ones and property safe. Maximize everything technology has to offer and enjoy a more secure abode day and night.